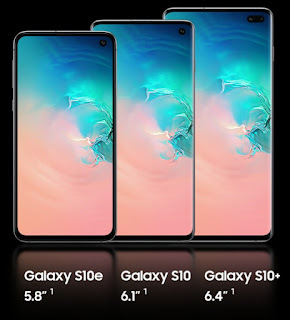 Samsung unveiled its new flagship Samsung Galaxy S10, the Galaxy S10 Plus and the smallest of its series, the Galaxy S10e, as part of the unpacked event held in San Francisco and London at the same time. Samsung's all-new smartphones come with impressive looks and brand new coloring with advanced camera features and the new Infinity-O screen offering a whole new experience. With sophisticated design and innovative design, the Galaxy S10 sets new standards for smartphones. The design of the Galaxy S10 series has everything you need to adapt to the way you handle your phone, whether it's browsing, gaming or watching a movie. The innovative glass on the back is ideally suited to the metallic thin frame and smooth edges, creating a slim, symmetrical design that delivers excellent feel and optimal grip. Samsung's new smartphones once again make the Galaxy stand out for the groundbreaking display. 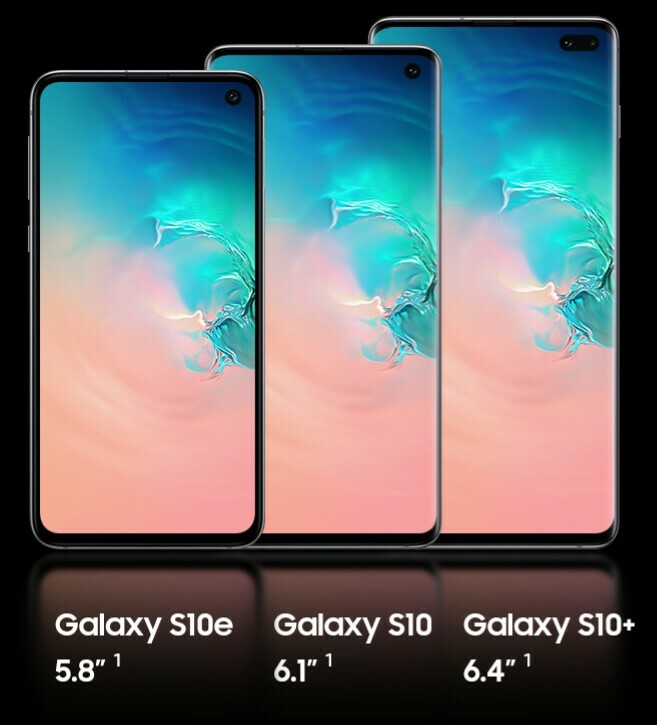 In the new Galaxy S10, the large Infinity-O (5.8, 6.1 and 6.4 inch for Galaxy S10e, Galaxy S10 and S10 Plus respectively) QHD + resolution, with the hole in the top left corner for hosting the front camera, at an edge offering a larger surface (19: 9 aspect ratio) for more details with less scrolling. Also, the new Galaxy S10 brings the world's first smartphones with Dynamic AMOLED technology that supports HDR 10+ playback with Dynamic Tone Mapping to enjoy scenes with a wider range of colors and incredible picture detail, as well as a blue filter that reduces its transmission blue light for more relaxed viewing. The ultrasonic fingerprint sensor is integrated into the Galaxy S10 & S10 + touchscreen display, providing even more secure and accurate way of identifying your biometric data. Unlike "traditional" sensors that work either with light or electricity, the Galaxy S10 sensor uses ultrasonic waves to recognize the 3D object attributes to distinguish a real finger from a copy of it. This provides greater comfort and security compared to other sensors. The triple camera on the back of the Galaxy S10 and S10 + consists of a 12 MP resolution lens that fits in with a 12MP sensor and a 16MP ultra-wide-angle lens with a viewing range of 123 degrees. The same super-angle lens is also placed on the Galaxy S10e, which is combined with a Dual Pixel 12MP resolution sensor. The advanced Galaxy S10 cameras offer brighter and clearer images and are combined with smart photo functions such as smart distortion correction and super night shooting to deliver professional results even in low light conditions. The front camera of the Galaxy S10 and S10e features a 10MP Dual Pixel resolution sensor while the front camera of the Galaxy S10 + is a 10MP sensor combined with a second 8MP resolution lens for luminous and detail-packed photos even in low light conditions. At the same time, the new Galaxy S10 uses Artificial Intelligence-based software to create impressive portraits. In addition, the new "High Stability" feature offers high-quality video like a camera action to make shake-free videos. The Galaxy S10 is extremely dust-proof and waterproof based on IP68 certification, which means you will not be afraid to touch your phone on a wet surface, and you will continue to use it even though you had accidentally dropped it a while ago water. At the same time, Gorilla Glass 6, on the Galaxy S10 & S10+, offers greater protection against scratches and, in some cases, cracking from falls on various surfaces. Whether it's demanding in graphics games or for tasks like browsing, email, social media, etc., the new Galaxy S10 promises a seamless experience. Samsung's new smartphones come with the new eighty-strong Exynos 9820 eight-core processor, delivering seven times faster than the Exynos 9810, so you have the power to enjoy mobile gaming or run multiple features at the same time less battery power consumption. In addition, the device temperature is automatically adjusted based on machine learning technology to ensure even optimal use. As for the capacity of the Galaxy S10, they come with up to 1TB of internal memory to store all your files comfortably, and you can extend it via a microSD card. The Galaxy S10 is Unity Engine-optimized, which means you can enjoy the best games with less glue and better battery management. Also, Harry Potter Wizards Unite AR and Gears POP! designed on the basis of the Galaxy S10 to ensure unique gaming experience as well as other advantages during the game. Whatever you do with your smartphone, you will not have to worry about the battery life since the Galaxy S10 is equipped with a high capacity battery (S10e / 3100mAh, S10 / 3400mAh and S10+ / 4100mAh) with advanced artificial intelligence-based features to maximize your battery performance. Additionally, the new Galaxy S10 now has a charging frame in their construction, allowing you to share battery wirelessly when you feel it necessary. You can charge your cell phone and a second device only with a charger. AKG's dual output speakers deliver 30% louder sound, upgraded by an algorithm to listen more clearly without noise, even when the sound source reproduces normal sound. Dolby Atmos 3D also offers a new game mode for a more immersive gaming experience.